To say this is a great read is an understatement. Master storyteller Witi Ihimaera takes us deep into the heart of rural 1950’s New Zealand and invites us into the lives of the Mahana whanau; their homes, their community, their history. With references to events and people of the time, authentic characters, and rich scene-setting, reading it feels like a trip down memory lane – you feel the heat of the sun, you taste the dust of the metal road, you are familiar with the place. The Mahana whanau is led by the legendary Tamihana, known as Bulibasha, a Gypsy word for ‘King of Gypsies’ – a powerful and righteous man who dominates his large family. With the grace of God, he has earned the respect of his people through his sporting prowess and shearing business. Firm in his beliefs, he leads his sons, daughters and mokopuna with a strong hand, demanding strict adherence to his views on life and the correct way of doing things. Added to this epic family tale is a decades old feud with another powerful whanau, played out in no-holds barred sporting competitions, kapa haka contests and ultimately, the first ever Golden Shears competition. The narrator of this powerful tale is Simeon, the 15-year-old son of Tamihana’s seventh son. Aware of his Grandfather’s low opinion of him, he is the only one in the family who dares to question his Grandfather’s authority. Thanks to oft-repeated stories featuring Tamihana as the conquering hero “He was the reference point by which all history was judged,” the adults are in awe of their patriarch, however Simeon is not convinced. At a time when society was beginning to change, with teenagers pushing against traditional boundaries, Simeon and his Grandfather clash many times; Simeon’s coming of age challenges Bulibasha’s long held beliefs and control over the family. First published in 1994, Bulibasha won the Montana Book of the Year Award in 1995. Its re-release coincides with the release of Mahana, a film adaptation directed by Lee Tamahori, starring Temuera Morrison as Bulibasha. Now that I have met them, I can’t wait to see the wonderful characters of this important Kiwi novel brought to life. The finalists in the Ockham New Zealand Book Awards have now been announced, giving readers 16 fine books to take a second look at, and consider among the best New Zealand books ever produced. The judges had an unenviable task, with 18 months worth of submissions considered, and of course they haven’t chosen everybody’s favourite books (wherefore no The Chimes?) , but it is a pretty fine list nonetheless. Click the title you are interested in below to read a review, either on our blog, or if we haven’t yet had it reviewed, in another extremely reputable place. Enjoy these wonderful New Zealand books and share them far and wide. The Ockham New Zealand Book Awards are supported by the Ockham Foundation, the Acorn Foundation, Creative New Zealand and Book Tokens Ltd. You can find out who the judges are here. The winners (including of the four Best First Book Awards) will be announced at a ceremony on Tuesday May 10 2016, held as the opening night event of the Auckland Writers Festival. The awards ceremony is open to the public for the first time. 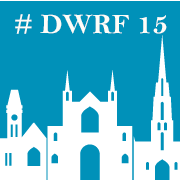 Tickets to the event can be purchased via Ticketmaster once festival bookings open on Friday 18 March. Winners of the Acorn Foundation Literary Award, for fiction, win $50,000. Winners of the other three category awards each receive $10,000, the Māori Language award $10,000, and each of the winners of the three Best First Book awards, $2,500. Two greats of New Zealand, and particularly Maori, literature – Witi Ihimaera and Patricia Grace (right) – sat down for a chat in front of a nearly full St Paul’s Cathedral on Saturday. Both are well known for their work being written from and expressing a Maori world view, so it was interesting to see that Ihimaera’s first question was about Grace’s Irish background, and why she hadn’t written a lot from that point of view. As it turns out, she had written a few from that point of view, especially early on in her career, but no one seemed particularly interested in publishing them. 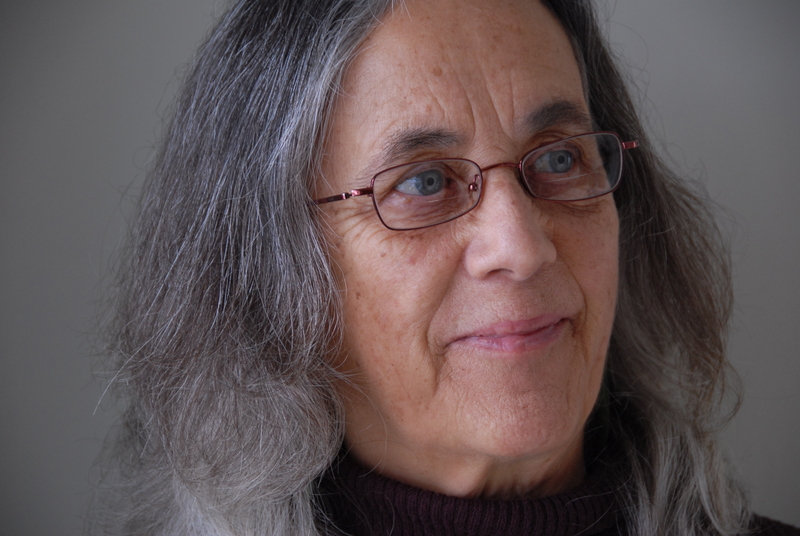 It wasn’t until she started writing from the Maori point of view that her writing career came to fruition – curious, since both Ihimaera and Grace encountered resistance from publishers regarding publishing their Maori-focused work. Perhaps this was more because the Maori point of view made up a larger part of her ‘voice’. 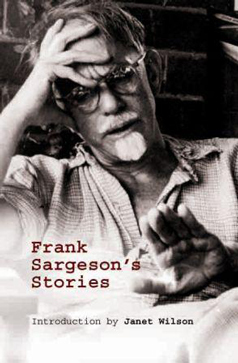 Grace talked about the impact of Frank Sargeson’s work early on in her career, and how she could hear ‘that Kiwi voice’ in his stories and then realising that writing came from within and that it was about finding one’s own voice. She was also aware that, in writing the Maori existence, she was writing about people that at that time had never been written about before. An interesting point to note was that one of the main themes in her work was the importance of land, and the fact that many of her (Pakeha?) readers may not have realised that land issues were part of everyday Maori life. This struck a chord with me – every life has details in it that are perfectly ordinary to the person living it, but are totally foreign to others, and often that ordinary/extraordinary disjunct happens across cultural boundary lines. 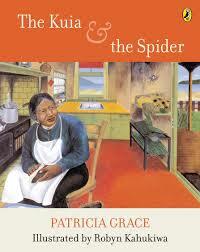 G race was a teacher for a long time, and I could sense that old teacherly concern when she talked about The Kuia and the Spider, her classic picture book, and the circumstances that inspired it. She had noticed, as a teacher, that “it was not good to be brown or black in children’s literature” – she asked the audience rhetorically, “Where was the Maori child […] being legitimised in literature?” – and that the kids she was teaching didn’t relate to stories with European settings. Her concern was with representation of other cultures, and it extended to ethnic groups other than Maori, hence the theme of her second children’s book Watercress Tuna and the Children of Champion Street. 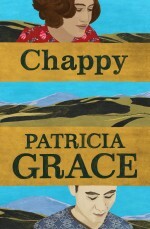 Overall, the session was an understated affair, but the audience remained attentive, and we were rewarded with a reading by Grace from her new novel Chappy, to be released at the end of the week. 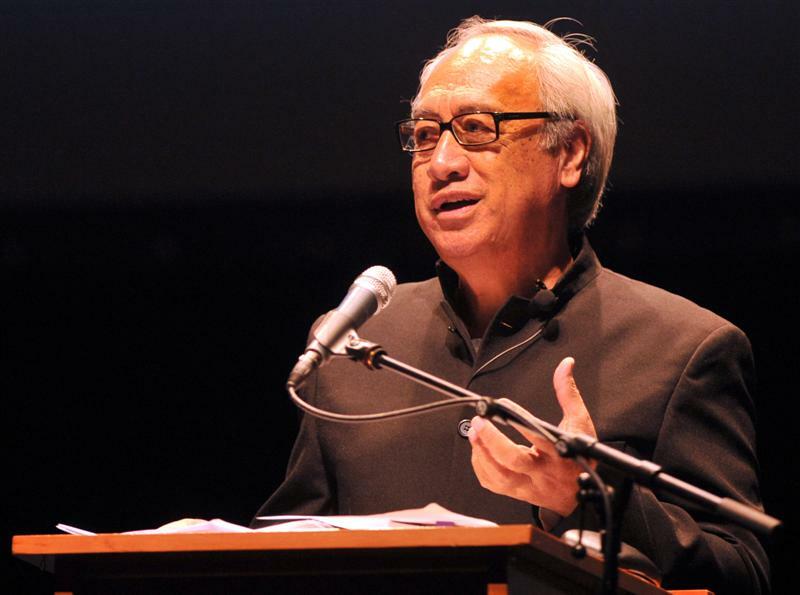 In a wide-ranging, entertaining and provocative speech (which I hope was recorded or transcribed, as it deserves repeat listening), Ihimaera’s address circulated around questions of nationalism and the current state of affairs in writing and among the younger generation. He pointed out the two forces that have apparently defined New Zealand literature – the nationalistic urge, or the aspiration to write the nation, and the individualist urge, with an author fighting to keep his or her own sense of self, citing Katherine Mansfield, “New Zealand’s first literary exile”, as an example of this (and tracing a direct line from her to Eleanor Catton). The same two forces work on readers as well: as Ihimaera put it, “we want our writers to stay New Zealanders but are still dazzled when divinity is conferred from elsewhere”. Nevertheless, Ihimaera didn’t seem to be bereft of hope for the future. He talked (withsome fascination and excitement) of his mixed-race grandchildren, wondering what stories their genealogy might throw up, and acknowledged the importance of getting the younger generation reading. And finally, when a nineteen-year-old writer asked Ihimaera what he would say to any other young writers out there, he advised her very warmly to “believe in yourself, and don’t hear other voices” – that is, other voices except your own – and to try to get yourself into the most natural (artistic) position possible to enable your voice to come out fully and naturally. He also asserted that the aim of artistic endeavour is “to achieve excellence” and to “go for longevity, and go for broke”. I loved this book. The ancestors and the no -so-distant relations, and the immediate family members are all brought to vivid life by this master of storytelling. Witi Ihimaera has created an amazing work which gives us a picture of his life as a kid in the Gisborne region in the 1940s and 1950s, when times were pretty tough for many New Zealanders but more so for most Maori. The story of his whanau and the challenges, anguish, love and pain that they experienced are written about in such a way as to make you stop and think. Seriously. And for quite a long time. I am sure that many of my generation (the same as Witi’s) who grew up in Pakeha Aotearoa will be as blown away as I was by the generosity of spirit with which Witi writes this book. It’s a learning curve for many of us to try to understand the importance of the ancestors in Maori tradition, but this book can be described as facilitating that understanding − if you are listening. The way in which Witi writes about his ancestors, and the (to Pakeha) legendary figures in Maori history, is intensely personal. It reminded me of a tour of the Duomo in Florence I once did, where the English-speaking Florentine guide spoke about the Medici family and their activities – both good and bad – in the 15th and 16th centuries as if she had been there herself. This is a wonderful skill – to be able to give life to figures long dead, and Witi Ihimaera has it in spades. He weaves the Maori creation story into the story of his family and draws connections and brings the reader a deeper understanding of the traditions. At the end of many chapters there’s a section called the tika – the truth, or the correctness. This serves to give the real story as opposed to the “storyteller” story. It’s a great technique. Memoirs are often short, and therefore sometimes only give a taste of the subject, an appetiser if you like, so you are left hungry for more. And sometimes,of course, that can be a good thing. However this book is long – at almost 400 pages, it’s longer than most novels – and it really gives you the whole prix fixe menu. The book is split into sections dealing with the tipuna (ancestors), the whakapapa, Gisborne, finding his turangawaewae, the world and more. His relationship with his mother, in particular, will resonate with many readers. She was his Sycorax (look it up!) -and he realised that eventually you “find within yourself the courage to take your salvation into your own hands” and take your place as one on whom others can call and depend. We can depend on Witi Ihimaera to write about life, love, history, tipuna, turangawaewae and more in a way that all New Zealanders, Maori or Pakeha, can identify with, rejoice in and share.